June 16, 2015, 2:40 PM · In an effort to promote the coverage of live violin performance, Violinist.com each week presents links to reviews of notable concerts and recitals around the world. Rachel Podger. Photo by Jonas Sacks. Rachel Podger performed works by Tartini, Biber and Bach (including a flute partita transposed for violin), in recital. The New York Times: "With her warm, resiny sound, expressive command of rhythm and gift for drawing melodic lines of alpine crispness, Ms. Podger can be entrusted with just about anything." Martin Chalifour performed the Beethoven at the Astoria Music Festival. The Daily Astorian: "He carried history in his hands and proved a master of his art. The purity of its sound amid the Liberty’s acoustics was nothing short of astonishing." Anne-Sophie Mutter performed the Previn with the London Symphony Orchestra. Music OMH: "Stylistically, the concerto reflects both Previn’s early years working in Hollywood as an arranger of film scores as well as his advocacy of composers such as Korngold, Prokofiev and Vaughan Williams. Melodically attractive and ravishingly scored, the concerto’s musical argument is perhaps rather discursive, but it communicates a compelling depth of expression, particularly in the slow movement. Mutter’s exceptional technique and tonal refinement were deployed to the full in this performance, matched by dedicated playing of the orchestra under the composer." Benjamin Beilman performed Mozart's Violin Concerto No. 3 with the Mainly Mozart Festival Orchestra. San Diego Union-Tribune: "Virtually everything (conductor Michael Francis) and the orchestra did seemed an extension of Beilman, just as much of what Beilman did seemed an extension of Francis and the orchestra. It was hard to tell where the thinking of one left off and the other started." Alina Ibragimova performed Mozart's Violin Concerto No. 3 with the London Symphony Orchestra. The Independent: "This Russian-born, Gnessin-trained player has blossomed superbly over the last few years on both modern and period instruments, both as soloist and chamber player." Karen Gomyo performed the Beethoven with the New Zealand Symphony Orchestra. Stuff: "The concert opened with a performance of Beethoven's Violin Concerto that was very easy on the ear. 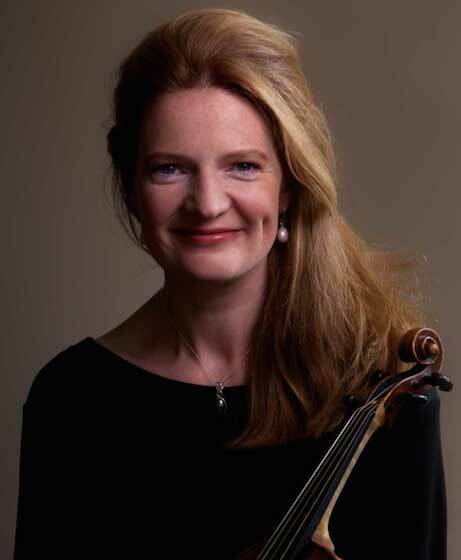 Karen Gomyo replaced a pregnant Hilary Hahn and proved a fine, technically assured player with a sure sense of style." Jack Liebeck performed the Mendelssohn with the Bournemouth Symphony Orchestra. West Sussex County Times: "It was played with total ease ensuring that the many emotions demanded by the work were faithfully presented, making this an exceptional performance from both the soloist and orchestra." Carolin Widmann performed Julian Anderson's "In lieblichen Bläue" with the Seattle Symphony. Seattle Times: "Soloist Carolin Widmann played this demanding score with tremendous energy and involvement, bending and weaving as her violin countered the communal shrieks from the orchestra. Her command of the instrument is remarkable, right down to the extended techniques the score requires." Lara St. John sets the record straight after a highly presumptuous review in a German paper. A must-read! Saurian Saint: "There are binders full of wrong with Mr. Stephan’s presumption."